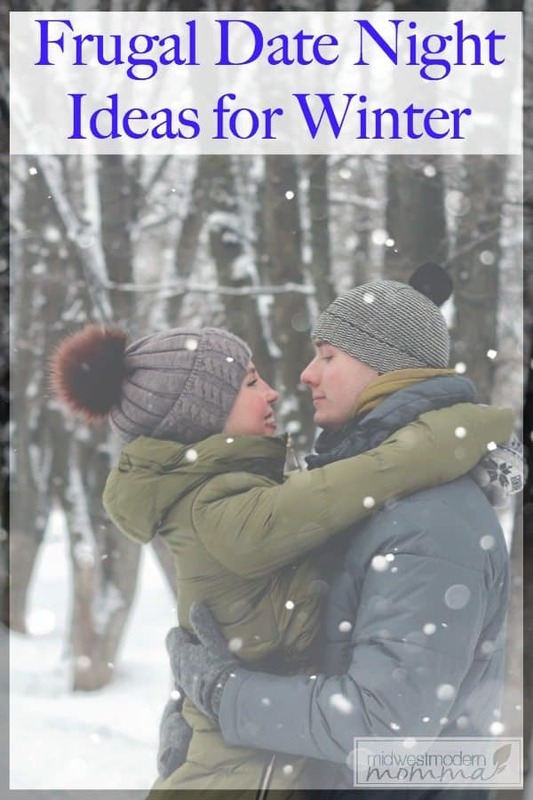 The temperature has dropped, and these frugal date night ideas when it's freezing outside are just what you need to keep that relationship with your significant other going strong. Cold weather often makes people feel cooped up and like they can't have fun, but here are some super fun ideas to keep you connected even when it's cold! Take a cooking class at a local community college or vocational school: Some people shy away from cooking classes since they sound expensive, but when you look at the cost at local community colleges or vocational schools you'll find out a class includes not only learning something new but a full meal for you and your spouse. For $25-$30 you can have entertainment and a meal out. For many, this is what makes frugal date night ideas so much fun. You get to do something you wouldn't normally do and it fits into your budget. Go ballroom dancing or line dancing: No matter what your dance style, winter months are the perfect time to head indoors and enjoy some great time dancing. Ballroom dancing is great, but line dancing may be more your style if you prefer country music. Both are great low cost or even free fun things to do when you are low on funds and want to stay warm. Watch Groupon for some great deals for cheap date nights! Enjoy an at-home movie night: It's cheesy, but a great way to manage frugal dates when it's freezing out. Grabbing a favorite or new movie at the local kiosk or even streaming through Amazon Prime, Netflix or Hulu is great. Grab a pizza, a bottle of wine or your favorite frugal meal and snuggle up indoors for an at home movie night. Go to a local museum or art gallery: Museums and galleries often have tons of great free nights or inexpensive tickets on special nights. They are a great indoor activity on a cold night. You get to view beautiful things, enjoy the company of your loved one and of course you get to add a bit of culture to your date night despite the cold temperatures. This is one of my favorite date night ideas since many galleries also offer wine and appetizers for a small fee. Usually, you can get in for $5 and have a glass of wine, a few appetizers, and amazing conversation. Go for a drive to check out holiday lights: If it is prior to the Christmas holidays, going for a drive with your significant one to see the local lights is tons of fun. You can spend this time daydreaming about your dream home, or just having fun seeing how different families enjoy decorating their homes and yards. Volunteer locally to help those in need: This one may not sound like a lot of fun, but when you realize how much more those around you are in need, it can take the focus off yourself and your own need to stay warm. Volunteering together is a great choice to help you get closer and learn to appreciate what you have. It's also a great way to connect as a couple and share with those in your community in need. As far as these frugal date night ideas go, this is one that is a favorite since it is doing something good for the community together. Play games at home: Board games and video games are a great way to connect with your significant other. Playing games at home can be a ton of fun, and it can easily bring you closer together. Whether you have a bit of a competitive streak or you have never played a game in your life, this is a fun way to stay inside, stay warm and have a great time with your loved one. 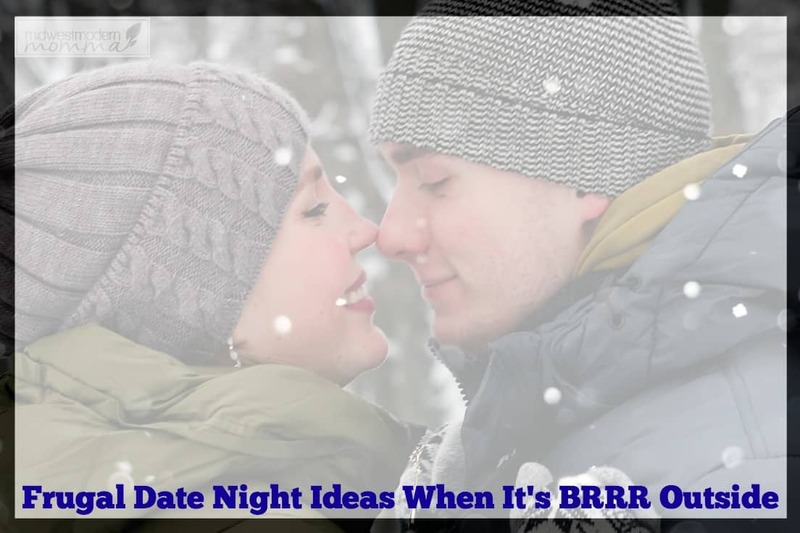 This list of frugal date night ideas for when it's freezing out is great for keeping you and your significant other connected no matter what time of year it is.